2. Calling 866-782-6330 with credit card details. 3. Mailing in a check. 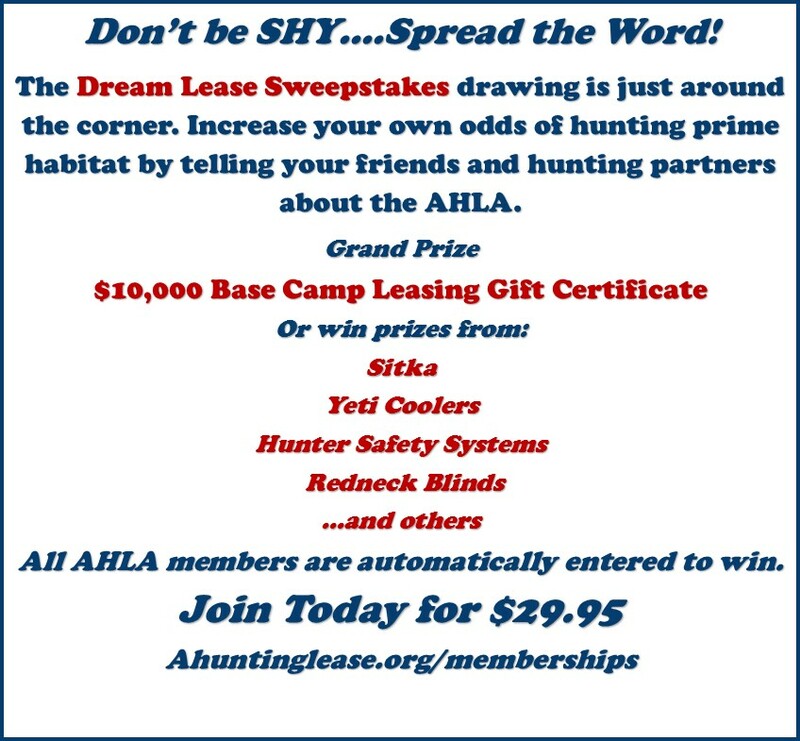 When you purchase your AHLA membership and renew your policy, you will be entered into the AHLA’s DREAM LEASE SWEEPSTAKES! The article that follows is the first in a five part series of informative articles written for hunters of all experience levels and expectations. I have a mantra. When executed properly, the ‘hunting lease’ works for everyone involved. Ok, yes it’s my job to say that. I get it. But, it’s true. 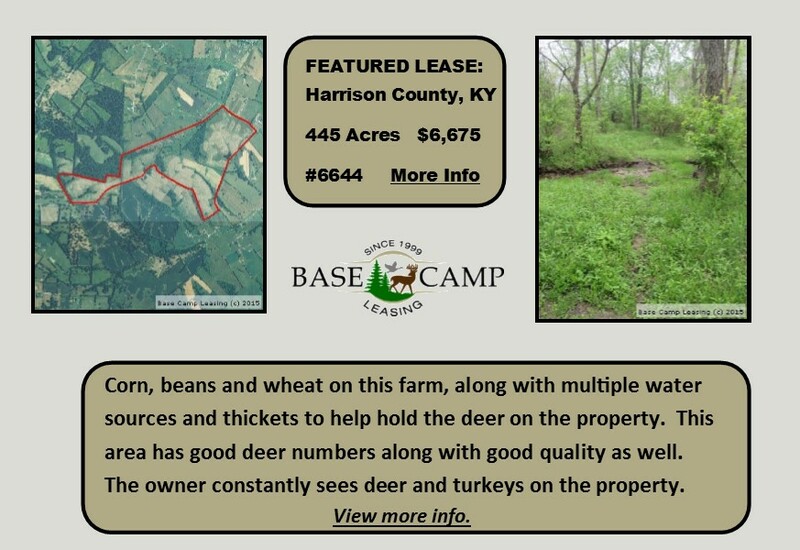 When hunters and landowners share expectations and there are fundamental levels of both courtesy and stewardship, the hunting lease arrangement delivers the goods. No other arrangement provides hunters with access to quality wildlife habitat for a tiny fraction of what it would cost to purchase land of their own. 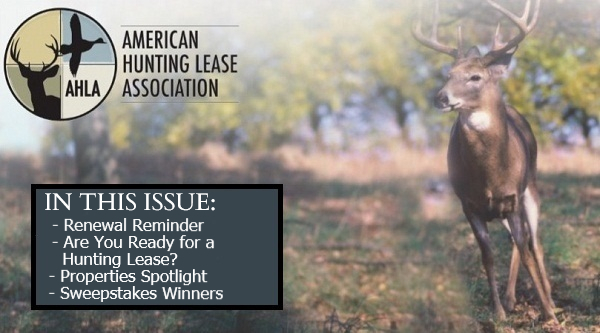 Further proof, most hunting leases are written for one full year. 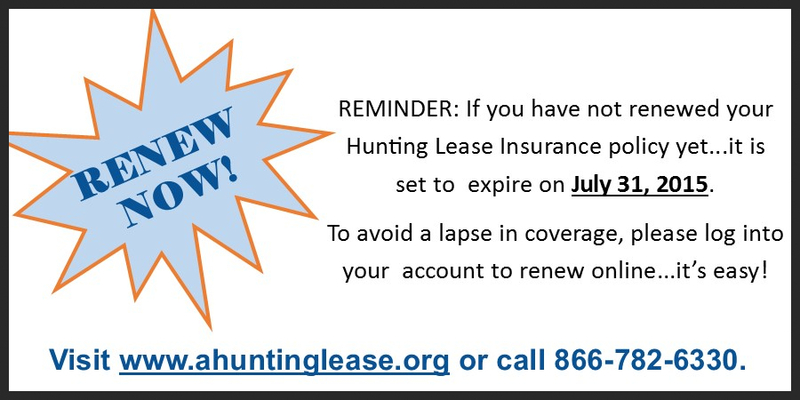 That means you get full access to your lease/property all year long. That makes a lot more sense than spending $5,000 to hunt with an outfitter for 5 days. 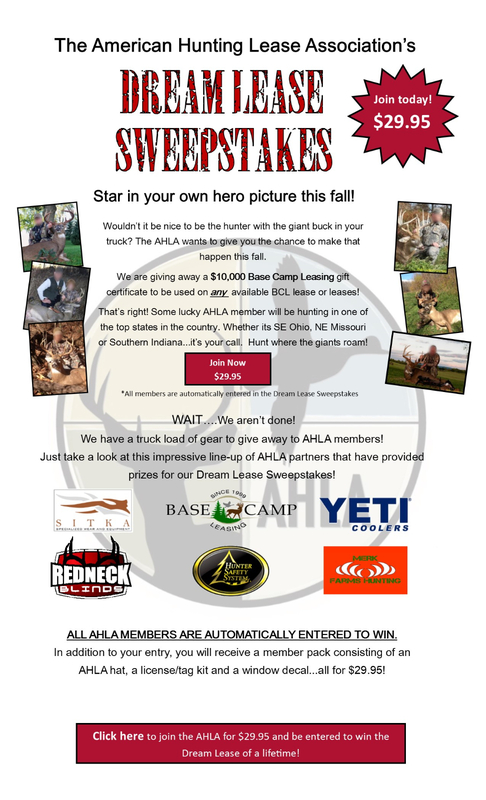 You have the opportunity to hang cameras, plant food plots, scout the pre-season, shed hunt and even hunt other game. 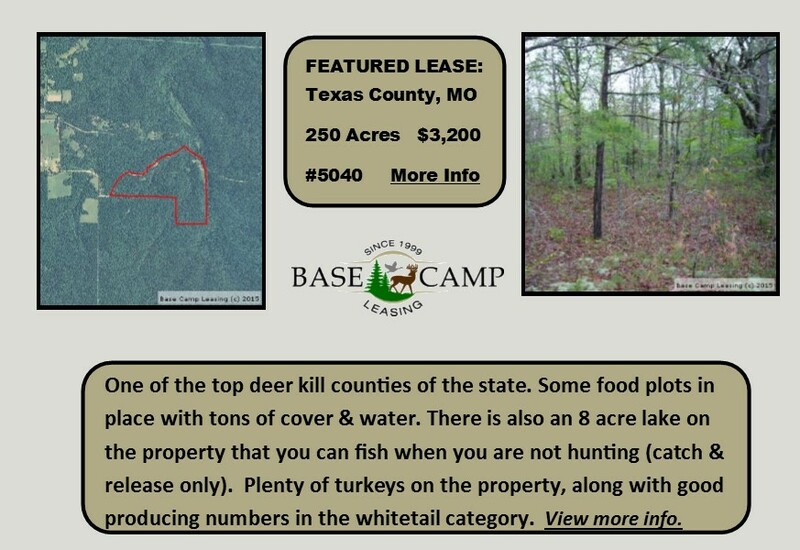 But, is a hunting lease right for you? It really comes down to two topics. Money and expectations. Read more. Congratulations to AHLA member Charlie Stone of Olive Branch, Mississippi. Charlie was our June monthly drawing winner! 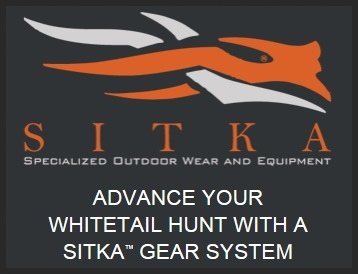 Charlie received a Sitka pants & jacket hunting system.